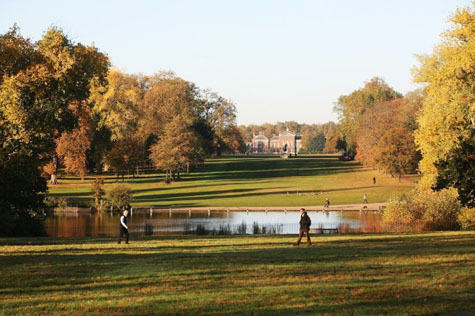 The Royal Parks of London already boast a long list of worthy, if specialized, publications, from the Kensington Gardens Shared Use Assessments to an executive summary of the Cycle Review at The Regent's Park. 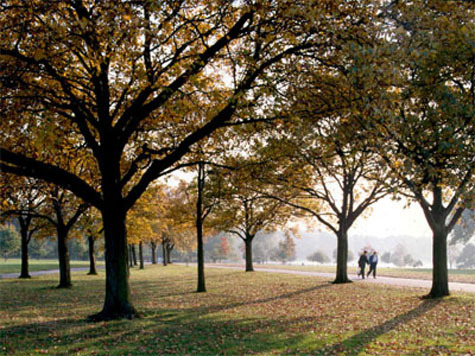 But Thursday, May 7, 2009, will open a new chapter in The Royal Parks' publishing career, as the organization unveils Park Stories, a set of eight specially-commissioned short stories, each story set in one of London's public parks. According to the series' editor, Rowan Routh, the seeds of her idea were sown during a recent collaboration with London’s Natural History Museum. The Curator for Contemporary Arts at the NHM, Bergit Arends, worked with Routh to commission literary responses—some poems and a short story—to the life and scientific theories of Charles Darwin, for their current exhibition. The creative challenges of incorporating a substantial reading experience into the limited space of a crowded museum, as well as the quality of the writing that emerged from the commission, left Routh “thinking about fiction in terms of other places to experience it,” she explained in a telephone interview with BLDGBLOG. [Image: St. James's Park, London. Image courtesy of The Royal Parks]. 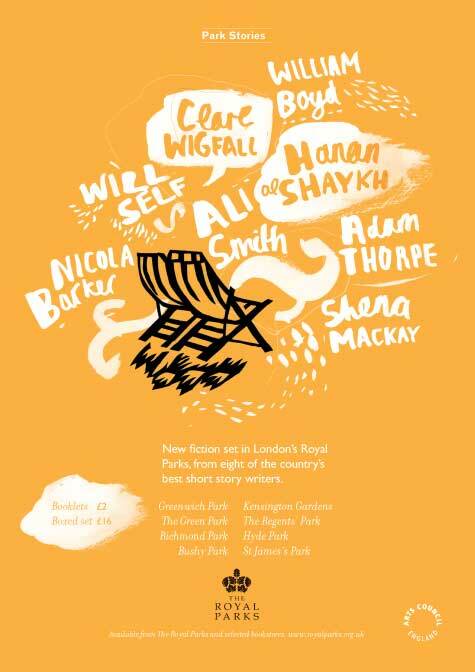 She started out by asking writers who had a connection to a particular part of London: for example, Nicola Barker, whose most recent novel is the Booker-prize short-listed Darkmans and who lives in Greenwich, has contributed By Force of Will Alone, set in Greenwich Park. The selection process evolved as word spread—and the final list now looks like this: William Boyd (The Dreams of Bethany Mellmoth, Green Park), Will Self (A Report to the Minister, Bushy Park), Ali Smith (The Definite Article, Regent’s Park), Adam Thorpe (Direct Hit, Hyde Park), Shena Mackay (The Return of the Deer, Richmond Park), Hana al-Shaykh (A Beauty Parlour for Swans, Kensington Gardens), and Clare Wigfall (Along Birdcage Walk, St James's Park). 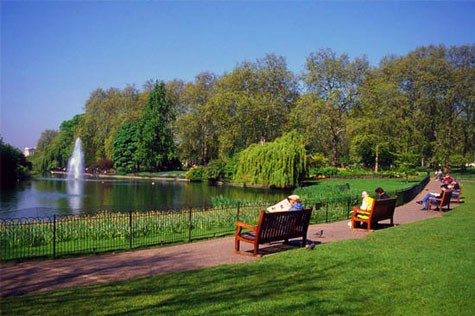 [Image: Another view of St. James's Park, London. Image courtesy of The Royal Parks]. Finally, the real joy in this project lies in the idea that the owners of a particular landscape or building might commission original literature to celebrate and promote it. If literary commissions become a form of property investment, for instance, could we perhaps see bespoke short stories replacing new kitchen cabinets as the surest way to add value to your home? Or will Los Angeles' real estate developers forego glossy brochures in favor of paying T.C. Boyle to set his next novel in the city's struggling loft district, while the local Convention & Visitors Bureau cancels its regular press junkets and instead develops a package of incentives for writers prepared to use L.A. as the backdrop for their work? 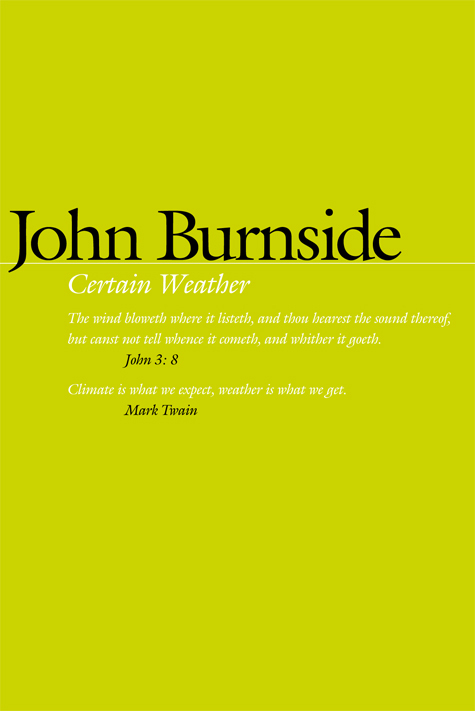 [Image: From John Burnside's collection Trees in the City; check out the PDF]. [Earlier posts by Nicola Twilley include Park's Parks, Dark Sky Park and Zones of Exclusion; we've started joking that she's our Parks Correspondent). I was thinking about state-sponsorship of the arts recently. Obviously, censorship is not always implicit in sponsorship, but one could imagine certain artists will never be sponsored by certain entities. More to the point--I was trying to imagine what sort of stories (or more explicitly, what sort of authors) would be sponsored by The Royal Parks to showcase their parks. You touched on this a bit in the post. I think part that really hit me was how you connected the sort of artistic work with the space. Short stories reflect the small, pruned space of a park. And if we imagine that not only the setting will be worked into the story, but also a general purpose or theme of proper-noun Royal Parks, because these sorts of commissioned pieces "work best when they coincide with an existing personal interest," then it seems that it is not only a commissioning of literature, but a city planning of literature. So it's not only the literary space which is under commission, it's our experience of the space. These authors, more or less, are invoking how we should feel about parks. Certainly after reading a story set in a park, upon visiting it, that story's aesthetic will be present in your new experience. And how will they attempt to paint the space? Probably not with the less favorable aspects of parks, of which there are many (one of my favorite "haunted" spaces is in a public park). So in a way, these authors are working to paint a certain rose-colored view of a city. Which is not trouble in itself, by any means. Nobody is forced to read or believe these stories. But it sort of reinforces a optimistic view of space in general. If one is going to write about a space, one should write something positive? Is the only positive experience we can get from a space one that is optimistic and pleasant? Some of the spaces I like and admire most are those that inspire a whole range of feelings, from paranoia to doubt, to agoraphobia and anger. If this is a model of literary/spatial planning along the lines of "sustainable green space" or "pleasant vistas"), will the unpleasant narratives of space be redistricted, and "ghettoized" along with their unsavory inhabitants? What sort of urban and social decay will teem within our literary industrial spaces? I like the sound of this. The parks in London are wonderful. Each one has it's own character and they are used for so many different things throughout the year.